New RedVector Course – Parking Lot Design Course Series! RedVector is happy to announce a new series on parking lot design! These three mobile-ready courses comprise six hours of intermediate and advanced level content. This course series is great for civil and traffic engineers, and is authored by our resident expert traffic engineer, Dr. Kwabena Ofosu. Dr. Ofosu earned his Master’s degree and PhD in Civil Engineering from Florida State University in Tallahassee, Florida. This training presents the fundamentals of the planning and design of parking facilities. This course will introduce participants to parking users, parking facilities, and common parking terminology. The characteristics of parking users are presented in detail, followed by a discussion on the different types and classifications of parking and parking facilities. A review of parking configurations and the geometry of parking are then presented. The factors that are considered in developing efficient parking layouts are discussed in detail. This course concludes with a discussion on factors relating to parking accommodations and accessible parking spaces for users whose needs are met by regulations outlined in the Americans with Disabilities Act. This course will enable practitioners to gain a better understanding of the analysis and design of parking facilities. Examples and practical cases are included throughout this course. This course will introduce participants to the fundamental concepts of parking, and the types of parking and parking facilities. The metrics used in the analysis of parking facilities are presented in detail, followed by a discussion on the impacts of shared parking in mixed-use developments. This is followed by a detailed presentation on the prediction and analysis of queues and how they impact parking facilities as well as the adjoining street network. The factors that are considered in developing safe and efficient access to parking facilities are presented in detail. This course concludes with a discussion on the types of parking studies and the specific parking-related problems they are designed to address. This course will enable practitioners to gain a better and thorough understanding of the analysis of parking facilities. Examples and practical cases are included throughout this course. 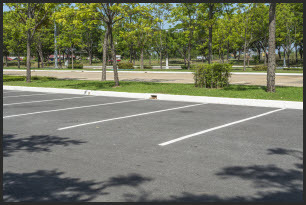 This course presents the economic analysis and structural design of parking lots. This course will introduce participants to economic, technical and engineering related aspects of parking lots. Topics covered include an introduction to the types of parking lot pavements and engineering economic analysis of parking lots and parking lot pavements. This is followed by the structural design of flexible pavement systems and the structural design of Portland cement concrete pavement systems for parking lots. This course will enable practitioners to gain a thorough insight into the fundamentals of the economic analysis and structural design of parking lots. Examples, sample calculations, and practical cases are included throughout this course. RedVector is proud to offer these new courses and has many other exciting courses launching soon. Be sure to follow our blog and check us out on Facebook and Twitter to stay up-to-speed on all the latest eLearning news and course launches! For more information about this or other RedVector courses, contact our client support department today.